There are so many food options out there to feed your cat. But not all of the choices hold the same lifestyle or nutritional benefits. Each of these factors, from convenience to nutritional analysis, are important considerations when looking at types of cat foods. Here we explain the pros and cons to feeding canned vs. dry cat food to help you choose which is ultimately best for your pet and you. Dry cat food wins hands-down in the convenience category. For storage and ease of feeding, dry cat food is the number one option. If you are looking for something mess-free and easy to take with you, have the kids help out with, or have your cat-sitter feed while you’re away, cat kibble is the simplest choice. But that doesn’t mean that you can’t make canned cat food easy, either. Next to dry cat food, it would probably rank second in convenience, ahead of homemade and raw diets. Mostly, all you need is a can opener and to practice good cleaning habits. Many cat nutrition experts warn against feeding cats a strictly dry kibble diet. Dry kibble diets average around 7-12% moisture content, making your pet prone to dehydration if they don't drink a significant amount of water. Add to that the high sodium content of your feline's food, which causes water retention and more dehydration, and your pet is seriously moisture-deprived. Since cats have a low thirst drive, your cat is likely at least mildly dehydrated if they are being fed a dry food diet only. Even mild chronic dehydration can lead to urinary tract issues and health complications. In the wild, cats would receive most of their hydration from the prey that they would eat, which is typically 60-70% water. At 70-80% moisture content, canned or wet cat food is very close to your kitty's natural prey diet. Try to choose a wet food that is close to 70% moisture content. While hydration is good, you don't want to be paying for mostly water. Indoor cats, particularly neutered males, are prone to urinary tract issues. 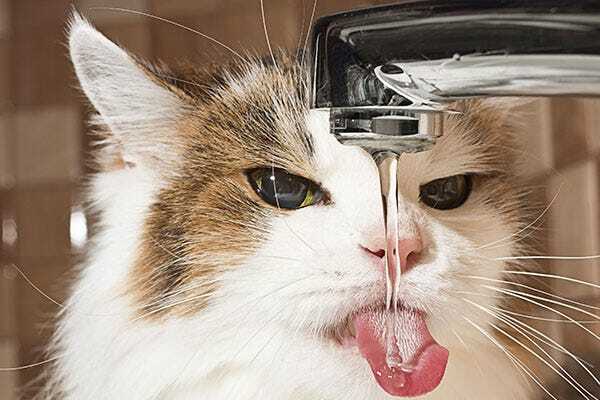 Urinary tract infections, kidney stones, feline idiopathic cystitis, and lower urinary tract disease can all be a result of chronic dehydration in your cat. Since canned cat food naturally contains more moisture than dry food, your cat is less likely to suffer from dehydration. It’s that simple. Switching from dry cat food to canned, or even including wet cat food as a part of your cat’s daily routine is the best thing you can do for your cat’s kidney health. Any cats with health issues that strain their kidneys, such as hyperthyroidism, diabetes, and cancer to name a few would benefit greatly from a switch from dry to canned. While it’s no doubt easy to feed and your cat may really like it, dry cat food as a sole food choice is not healthy for cats. Since cats don’t have as strong a thirst drive as dogs do, they are much less suited to a low-moisture kibble. Feeding your cat only dry food is likely to set them up for urinary tract issues when they become a senior. Cats are a finicky bunch! While certain cats just love the strong flavours and aromas of wet cat food, others will balk at it. If you are switching from dry to canned cat food (or vice versa), your cat may show some resistance – even a lot of resistance. To make things easier for your cat, you should start by offering her a similar flavour to what she’s used to – the same brand if possible. Mix the new food together with some of the old food, try adding a sprinkle of parmesan cheese (cats LOVE it), or splash a little canned fish juice on top. Be patient. Most felines – even the pickiest ones – will come around eventually. Canned cat food in general contains more meat than kibble diets, which is why it is typically more expensive. This is great news for cats, who are obligate carnivores, requiring few, if any, carbohydrates. To compare the protein levels of your canned and dry cat food, always convert to dry matter basis. First, find out the reported Protein Percentage. For example, we'll compare two fictitious types of cat food. Food A is a chicken-based dry cat food that lists the Protein at 22% on the Guaranteed Analysis. Food B is a beef-based canned cat food that lists 18% Protein on the Guaranteed Analysis. Then, find out the Moisture Content. It should also be listed on the Guaranteed Analysis. Subtract the moisture content from 100 to get the % of Dry Matter. Food A has a moisture content of 12%. The percentage Dry Matter would be 88%. Food B has a moisture content of 75%. The percentage Dry Matter would be 25%. (% Protein of Food divided by % of Dry Matter) x 100 = Dry Matter Protein Content (%) According to our example: Food A: (22/88) x 100 = 25% Actual Protein Content. Food B: (18/25) x 100 = 72% Actual Protein Content. While it may not make a big difference for a kibble food, wet foods can contain significantly more actual protein when you look at the Dry Matter Basis. Always check! Dry cat food often requires preservatives to maintain its great shelf-life, but these can be naturally-derived. Vitamin E (mixed tocopherols), Vitamin C (ascorbic acid), and rosemary are all natural preservatives for dry pet food. While they don’t last as long as artificial preservatives, they are not as suspect health-wise. Look out more dubious ethoxyquin, butylated hydroxyanisole (BHA) and butylated hydroxytoluene (BHT), which are common artificial preservatives added to pet foods to keep fats from becoming rancid. Canned food is naturally preserved though the canning process, so it requires fewer chemical preservatives than dry foods, if any. Also, because it is made from more actual meat and less carbohydrates, it generally doesn't contain artificial flavours or colours, either. The one preservative you have to worry about with canned cat food is BPA. Biosphenol A (BPA), which is part of an epoxy lining to some cans, extends the shelf-life of those cans and prevents spoilage. However, the estrogen-mimicker is also linked to a number of health concerns in people, which caused it to be banned in baby bottles in Canada in 2010. The good news is there are a number of BPA-free canned cat foods. Alternatively, you can also choose smaller cans to limit BPA exposure. Dry cat food can be poured into a bowl and left all day. Since many cats are grazers, this works just fine and makes it easy for cat owners with erratic schedules to feed their pets. Just be careful not to mix water in your pet’s dry kibble: mixing water with dry food can allow for bacterial contamination. Dry cat kibble can be stored in the bag it came in, but it’s best to keep it in an airtight container for optimal freshness. You can also freeze dry cat food for a longer shelf life, though some taste changes will occur. Wet cat food should not be left out for longer than 4 hours. Cat and dog digestive systems are better able to handle bacteria than humans are, but they are not immune by any means. Clean bowls after every use and store unused portions covered in the refrigerator for no more than 7 days for best food safety. Moisture is the winning factor here again for wet cat food. The high water-content of canned cat food makes it perfect for your cat’s weight loss or maintenance, since water helps your pet feel full. The high protein and low carb content helps, too, since it promotes satiety, keeping your cat from returning to the bowl hungry after only a few hours. It can be hard for cats to lose weight when fed only a kibble diet. Since kibble is dense and doesn’t include a lot of moisture, it can be easy for your cat to overeat. Restricting your cat’s food is not easy to do while still maintaining balanced nutrition, so canned food may be the way to go, even if you’re only replacing a meal a day. When we talk about value, we can’t just talk about price. Especially when it comes to pet food ingredients, value also means quality and nutrition. Dry cat food is generally a lot cheaper to feed your cat than wet food. But as it often is with food, you get what you pay for most of the time. Canned pet foods in general contain better quality ingredients, more meat protein, and fewer carbohydrates than dry kibble. While these ingredients cost more, they are likely better for your pet. Be wary though: a high price-tag doesn’t always mean high quality. Always look at your cat food ingredient list for the honest truth about quality. Look for multiple animal proteins in the first few ingredients, few to no carbohydrates, named meats and meals, and natural preservatives and vitamins, for just a few pointers, and avoid cheap, bad pet food ingredients, such as white flour, MSG, and corn syrup. Dry cat food can be better for dental health than wet food, but it has to be a dental formula with calcium carbonate to have any real effect on your pet’s teeth. But relying on only your pet’s food for dental health is not a good plan in the long run. Any diet is limited in how much dental benefit it can provide if you are not incorporating daily brushing (or any brushing at all). Brushing your cat’s teeth is still the number one way to promote healthy teeth in your feline. Oral probiotics, such as Evorapet, which can be added to both dry and wet cat food, have also shown promise in reducing the bacteria that cause gingivitis and bad breath in cats. If you have a young kitten, a cat who has lost some teeth, or a cat with a sensitive stomach, wet cat food could be helpful. Wet cat food makes an easy transition from milk or formula to solids, as it is very easy to eat and easy on young kitty stomachs. Some cats who have lost many teeth and have trouble eating can only eat moist canned foods. 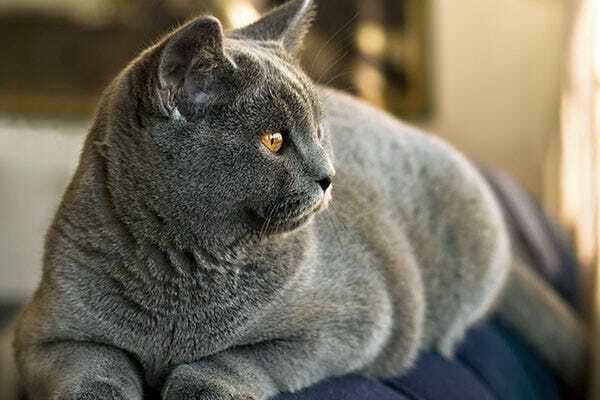 Cats with sensitive stomachs, or those recovering from diarrhea, constipation, or another illness can benefit from the high moisture content of wet cat food. The increased moisture content makes for easier digestion, reducing hairballs. If your cat is new to wet cat food, it can cause stomach upset or diarrhea. The effect is usually temporary and a result of the transition. Try a slower transition and mix some of your cat’s previous food with the new food. You may have to experiment to find the wet foods that work best for your cat. Every cat’s system is a little different! Canned cat food is our clear winner when it comes to your cat’s best health. Your cat will benefit from including wet food in its diet, whether you choose to switch to all canned food or just to serve it a few times a week. On top in terms of urinary tract health, meat protein content, and weight loss, canned cat food can provide numerous benefits to your feline. However, your pet’s best food choice must always be weighed against all pros and cons. There’s no one-size-fits-all food solution for any pet. Choose what works best for your pet and your lifestyle. And above all else, always choose the best value food you can afford for your cat, whether dry or kibble, homemade, or raw.